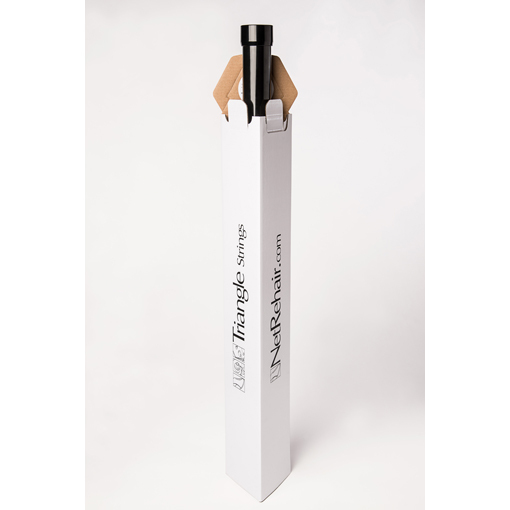 Our exclusive, custom shipping tubes were designed from the ground up to carry bows safely and securely to their destination. Bows, inserted into a plastic sleeve, are suspended from and secured on a pine backer board. This board is longer than the bow, assuring the head is protected. The board is then suspended between polyurethane foam blocks inside a piece of PVC tubing with PVC caps. The PVC tubing is attached inside a triangular box by 2″ polyethylene blocks. 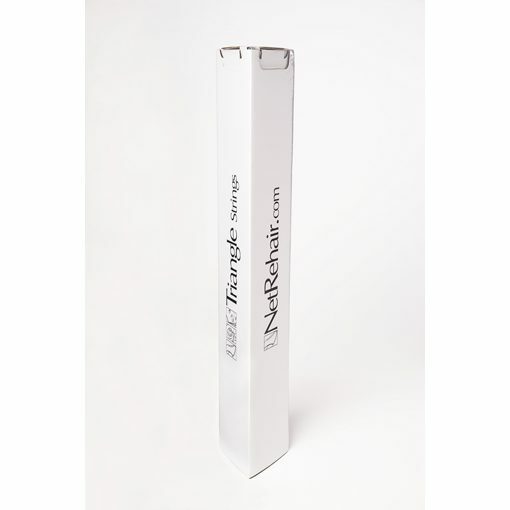 The tubing is mounted in a way that allows it to slide out of the box 6″ to aid in packing, and creates a convenient compartment in the top for strings and customer correspondence. Finally, after closing and labeling, the box is shrink-wrapped to further protect it from the elements. Please visit NetRehair.com for more information about our mail order rehair service.